Recent school leavers encouraged to apply. Management at Australia Post Unanderra are offering the opportunity to complete a Retail Traineeship cert II and III. 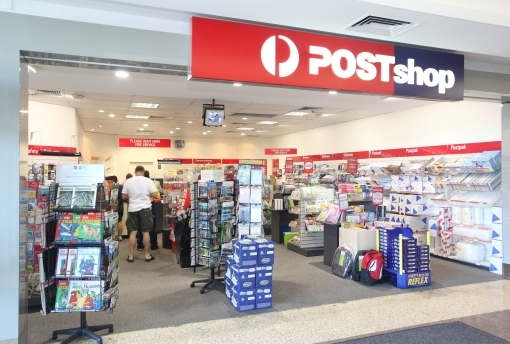 The staff and Management at Unanderra Post Office have created a fun learning environment with opportunity for acquiring qualification and experience to prepare you for positions and a career through Australia Post, Banks and Major retailers. As a Postal Services Officer you will acquire hands on experience in Banking, Billpay, Retail store, Postage products, Foreign currency, Wire transfers, Business Accounts, Merchandising, Customer Service and Sales. You will have the responsibility for growing Australia Post’s retail revenue through the use of a variety of techniques to sell and promote Australia Post’s products and services. The role provides face to face counter sales and services in a manner which maintains and enhances Australia Post’s corporate image, ensuring customer satisfaction and fostering good customer relations. The role of a Postal Services Officer involves the provision of prompt, efficient and reliable over the counter customer service, and the performance of associated merchandising in an Australia Post retail outlet. Part of your daily duties will include working with a small team to keeping the Office clean and tidy at all times. To succeed in the role, you need to demonstrate self motivation, logical and analytical skills, be honest and reliable, enjoy meeting and serving people, happy, easy going and an early starter, have good communication skills and be well presented at all times, possess the drive to complete and attain the qualification with drive to succeed in the position. To apply, click on button below. Please note that if you are using a Job Service Provider (JSA) computer, in some instances, JSA's may have restrictions on their computers that may limit access to the Forms. If you incur access limitation, please use a non JSA computer. the link above "click to complete application Form" may not work for candidates using a Job Services Australia (JSA) computer that has been limited with restricted internet access. If you incur this problem, please use a non JSA computer to allow you access to this form. It is very important that this form is complete in order to be considered for this role. Please note this is the only means of accepting your application as the form allows us to match you to the employer's requirements.